We have shipped dogs to PA, FL, CA, TX, TN, ME, WA, MI, NJ, and LA to very satisfied clients. 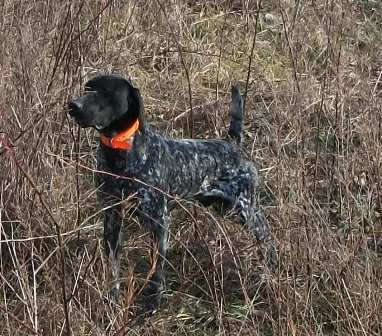 Many of our hunting dogs are also in various areas in MO, AR, GA, KS, OK and Canada. Just wanted to let everyone know that Johnny and Jane Ward breed good quality german short hairs. We picked peyton up from the airport on friday 6-29-07 and he has really taken to us very quickly. He has pointed for us numerous times in less than one week of having him. This dog really seems to have a lot of intelligence..I think you won't go wrong getting a pup from Johnny and Jane. Thanks again Johnny and Jane!!!! 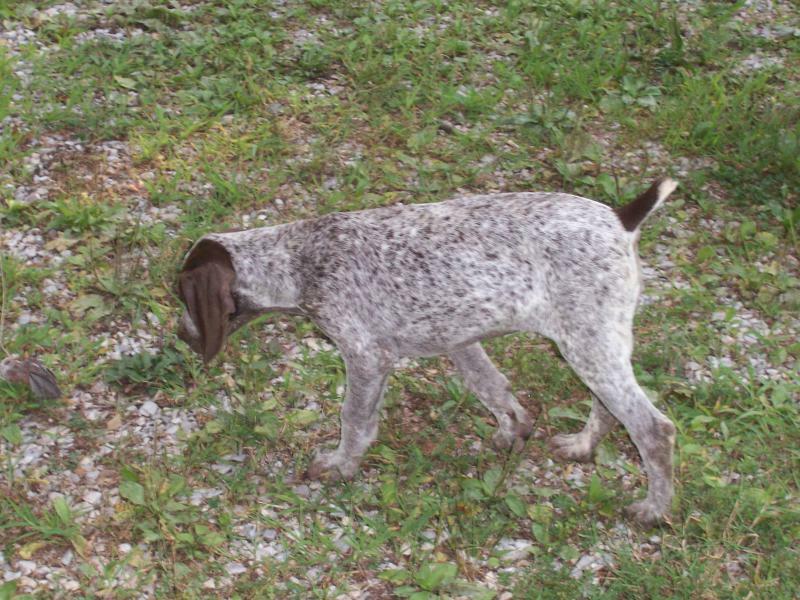 The puppy below from the April 2007 litter went to Texas. 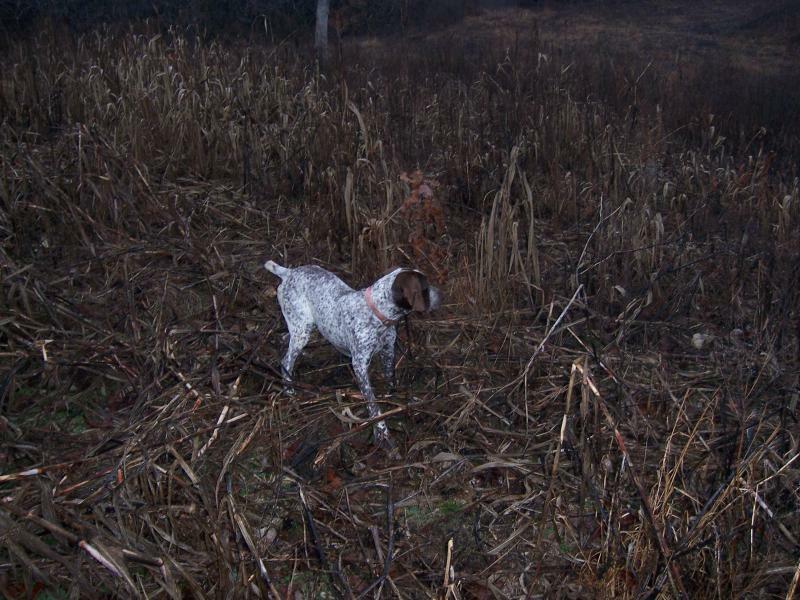 Buck was from the 2006 litter and finished at 10 months He is hunting in Georgia.